Groove Distribution :: :: Singles :: House :: Anthony Nicholson/VOICES REMIX 12"
Home : : Singles : House : Anthony Nicholson/VOICES REMIX 12"
Groove Dis Exclusive. 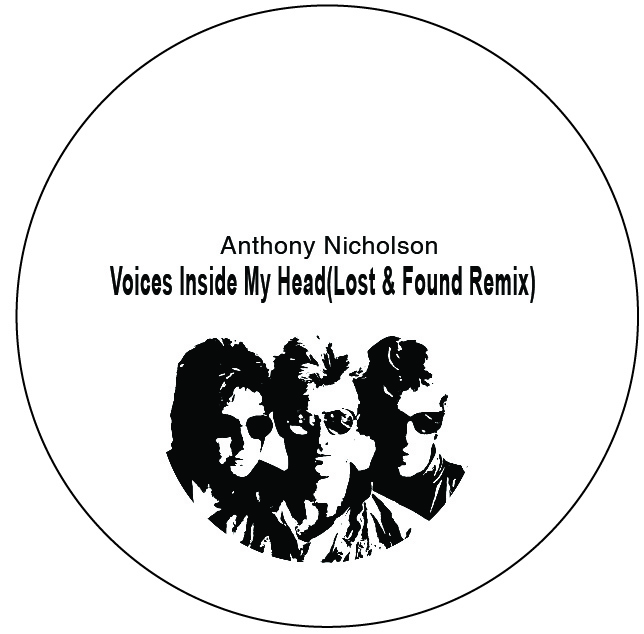 Chicago's ANTHONY NICHOLSON takes on THE POLICE with an exclusive remix of "VOICES INSIDE MY HEAD" featuring ANTHONY'S top shelf production skills. This limited stamped white label 12" also delivers a smooth recreation of MICHAEL JACKSON'S "I CANT HELP IT" with signature keyboards & Afro vibes! Anthony Nicholson/A BEDTIME STORY 12" Anthony Nicholson/CELESTIAL JOURNEY 12" Anthony Nicholson/CONFESSIONS 12"
Anthony Nicholson/KEEPING TIME 12" Anthony Nicholson/LIVING FOR TODAY 12" Anthony Nicholson/NIGHT CLUBB-ING 12"
Anthony Nicholson/SUCKAPUNCH EP 12" Anthony Nicholson/SUCKAPUNCH WL 12" Anthony Nicholson/UNIVERSAL EP 5 12"
Neo/CRAZY TO BE MAD (REMIX) 12" Technicolour/ROTARY MOTION 12" Gramme/GIRLS TALK EP 12"
Italoboyz/BLA BLA BLA (REMIXES) 12" Cabin Fever/CABIN FEVER VOL.5 12" TBD Classics/TBD CLASSICS 02 12"
Various/PSYCH-FUNK 101 1968-1975 CD U-More/PART OF NOISE 12" Gunmen/CHANT DOWN BABYLON 12"